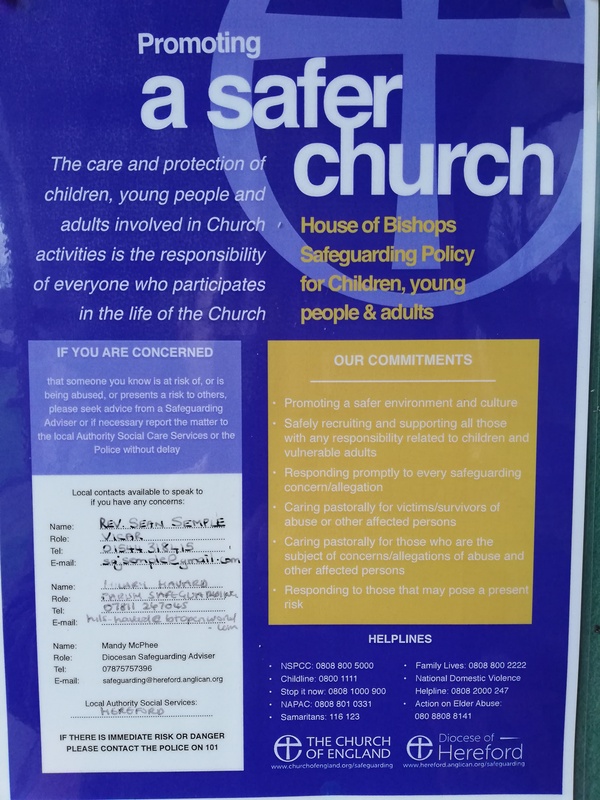 In the Weobley & Staunton Group of Parishes, following advice from Hereford Diocese, we always adhere strictly to all National Safeguarding Policy and Practice guidance. All Church of England Parishes are expected to formally adopt National Policy and Practice Guidance on a yearly basis and display a Safeguarding Policy Statement in a prominent place. We agree this at the Annual Parish Church Meetings every April. This is the poster displayed in our churches which is amplified by the Policy Statement seen below.